New data leads researchers to believe that the atopic march theory could be used to predict eosinophilic esophagitis (EoE) in patients. In data presented at the 2018 American Academy of Allergy, Asthma & Immunnology (AAAAI) and World Allergy Joint Congress in Orlando, FL, this week, researchers from the Children’s Hospital of Philadelphia (CHOP) uncovered correlations between pediatric EoE rates and the theorized progression of the atopic march. The popular theory suggests that patients with an allergic disease are more likely to develop another, or multiple allergic diseases in their lifetime. The progression commonly begins in infants with eczema, who are likely to develop food allergies, asthma, or hay fever in their later childhood. Though there’s been research linking the march to atopic dermatitis (AD), IgE-mediated food allergy, asthma, and allergic rhinitis (AR), little evidence has linked it to EoE. 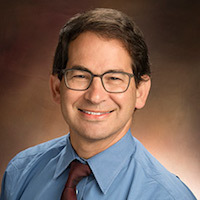 Study author Jonathan M. Spergel, MD, PhD, said his 130,457-infant patient cohort research indicates that EoE is also included in that progression. In a 2-plus year analysis of infants, children with eczema, food allergy, or asthma all had greater risks of developing EoE than children who did not have such conditions. The cumulative effects of atopic conditions on risk of subsequent EoE was significant for 1 condition at 3.9 (95% CI; 2.6-5.7); 2 conditions at 6.5 (4.3-9.9); 3 conditions at 9.8 (5.8-16.8); and 4 conditions at 12.2 (5.0-30.0; P < 0.001). In the patient population, 139 children (0.11%) developed EoE during the observation period. That group was significantly more likely than the overall population to develop AR (95% CI; 1.4-2.7). Spergel noted that the cumulative risk of EOE also increased with each subsequent atopic or allergic disease. “Our findings indicate that EoE falls into the pattern of atopic march, although EoE tends to be diagnosed later in the progression,” Spergel said in a statement. When eczema is diagnosed in infants — often at about 5 months of age — the atopic march states they are more likely to diagnosed with a food allergy or asthma by age 1, Spergel said. “If a child was diagnosed with all 3 conditions, they are even more likely to develop EoE than if they only had 1 or 2 other conditions,” Spergel said. The peak age for EoE diagnosis was 2.7 years — a significantly older age than the peak asthma (0.4 years), food allergy (1 year), and AD (1.1 year) ages. AR, as being found a susceptible condition for children with EoE, was diagnosed at a peak age of 4.1 years. Spergel’s team also noted that children who are male (OR 2.7; 95% CI; 1.9-4.0) and Caucasian (OR 2.4; 1.5-3.9) were more likely to develop EoE than other demographics, regardless of the rate of atopic march.